Coffee is crucial to keeping up with the pace in any city, and Salt Lake is no exception. 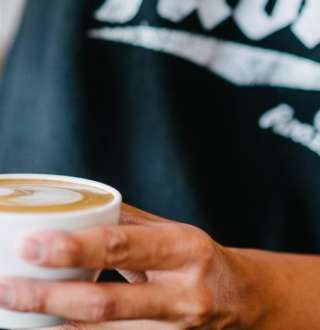 With more and more expert baristas, skilled roasters and an increasing population of coffee enthusiasts, Salt Lake City&apos;s buzzing java scene is better than ever. In recent years, a number of fresh new coffee shops have arrived on the scene, bolstering the line-up of successful establishments that call Salt Lake home. With a plethora of choices, unlimited combinations and something new on the scene all the time, Salt Lake has become a haven for beverage enthusiasts of all kinds. Simplicity reigns supreme in the coffee world, with many roasters sticking to organic, sustainable and local farm-to-cup mentalities. Thanks to carefully sourced beans, artisanal roasting and the passionate consumers of SLC, the coffee scene is an integral part of the food movement here in the state’s capitol city. Many shops feature a rotating list of roasts that range from nationally recognized stalwarts to local micro-roasts, and still more feature a menu of locally sourced food options to accompany your coffee of choice. The passion for quality coffee in Salt Lake continues to bridge the gap between the average java consumer and the die-hard devotee. Skilled roasters provide the starting point, and the city’s array of expert baristas execute the fine details that transform a long menu of coffee drinks into something more than just an ordinary cup of joe. This devotion, and the talented and creative individuals contributing to the scene, makes this morning ritual a habit you won’t want to kick. From the perfectly poured latte to killer cold-brews to vibrant coffee shop atmospheres, the city&apos;s coffee scene is continuing to grow. Locals have a few favorite spots to sip coffee in Salt Lake, listed below in no particular order. Located in the 9th and 9th neighborhood, you&apos;ll have to wait patiently in a line out the door on a Saturday morning. But the coffee is well worth it, as are the bakery items. The shop also features local artists and their work regularly. The Rose Establishment is located in a restored meat packing plant in the warehouse district. Along with the unique space, the Rose offers a fantastic food menu featuring locally sourced and homemade selections. Swing in for a quick cup on your way to the Farmer&apos;s Market in the summer, or stay awhile and enjoy a relaxing afternoon on their gorgeous patio. Blue Copper Coffee Room (179 West 900 South) This is the up-and-coming place to be. Blue Copper Coffee Room offers a prime place for people watching, gathering, and getting your caffeine fix in the Central 9th District. Previously known as Nobrow Coffee, they revamped their image and branding just a few years back. While customers can still expect the same friendly service, the shop now focuses more on small-batch roasted beans and sports a reimagined style. This spot sits neatly on the corner of I street and 1st Avenue. It boasts a vibrant outdoor scene in the summer, with chairs scattered all around the corner. And in the colder months, it turns into a nice spot to sit, sip and read on the couch. This local hangout has been a fixture of the Sugarhouse area for years, and fits nicely into the eclectic charm of the neighborhood. A great place to study or spend an afternoon reading, it also features live music on a regular basis. A great local hangout, it’s a great spot to stop on your way up to the mountains. In addition to their coffee, Blue Star also offers a robust breakfast and lunch menu, along with a fresh juice bar. Owned and operated by local favorite and Olympic freestyle skier, Shannon Bahrke, Silver Bean is the perfect stop to start off your ski day. Conveniently located at the base of the Cottonwood Canyons, it’s the perfect spot to chat with the locals about the conditions and get excited for the slopes. Raw Bean features a drive-thru option for the coffee drinker on-the-go, and always has homemade biscotti on hand. Located in a unique red brick building on West Temple, with the word “coffee” appropriately stamped in the side, you can’t miss it. A quiet and cozy spot along 200 South, this shop is often filled with University of Utah students cramming for their next test. Along with great coffee, they offer delicious fresh-baked pastries in the morning. Check out these other coffee establishments (yes, there are a few Starbucks), or search our complete restaurant options and add them to your Favorites.